Our students live in a world awash in news about fracking, melting ice caps, vanishing coastlines, and polluted air. Yet despite all this attention to the environment, the complex factors that shape people’s attitudes towards the environment—societal, religious, scientific, economic, historical, cultural, and anthropological—are frequently ignored. These frameworks, unique to each cultural context, are critical to help us think through the long-term sustainability of cultures. The project participants know that one city is not necessarily interchangeable with another when it comes to environmental problems. Tokyo is not New York; Ueno Park in not Central Park. 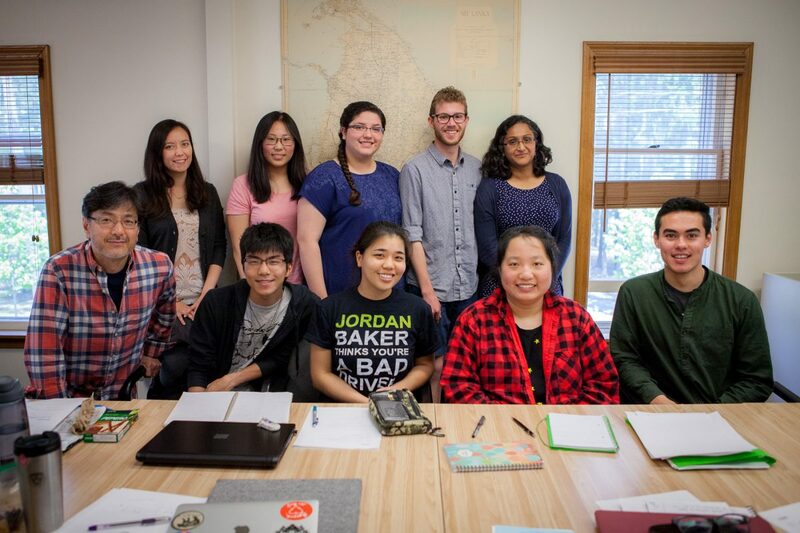 The students who are traveling to Japan come from a range of disciplines, but they share a common commitment to understanding culturally shaped responses to the environment. A team of seven students and three faculty will travel to Japan for three weeks in June 2017 to research the after-effects of environmental crises in Japan. The seven students will form three teams, each focused on three subject areas: civic engagement in environmental issues, medicinal approaches to environmental ills, and the scientific responses to distressed fisheries. Taken together, our team project provides an interdisciplinary lens on individual and collective responses to disaster in Japan and the historically shaped relationship between human society and natural environment.